My dog is a retrieving fool. Even in his old age, Ace will not stop dropping his tennis ball at my feet for “one” more toss if he knows he can get away with it. “One more time?” he asks, tail wagging. I say it in a serious, mean voice. This might seem a bit extreme to the average dog owner, but this phrase is important for keeping my dog safe. Ace is one of those dogs who will injure himself from “working” too hard. He’s done so many times over the years, which of course is my fault. Today, I have to make sure to remind my friends and family members not to throw balls or sticks too many times for Ace. Most people do not realize how easy it is for a dog to overheat. My dog is so serious about playing fetch that he doesn’t even pant. He stares at the ball, completely fixated, holding his breath and shaking. One time, when Ace was just 1 year old or so, I was playing fetch with him for maybe a half-hour at the dog park. When I stopped throwing the ball, he collapsed to the earth, completely exhausted, rib cage heaving. I’d never owned a ball-obsessed dog before, and I hadn’t quite realized how careful I needed to be with setting limits. That’s the day I learned to be careful with my crazy dog. Since he won’t stop playing on his own, I have to set this rule for him. When I say “that’s enough” there is no negotiation. I am consistent and serious, because if I’m not, my dog knows it right away. If any of you have equally obsessive dogs, I’m sure you understand the dog will always keep trying to play if he thinks there’s a chance you’ll give in, right? My dog thinks he’s so sneaky when he ignores me and just moves on to the next person with his ball, especially at the dog park. People are very impressed by dogs that play fetch. And then I have to be the “mean” mom who goes over and moves my dog away. 1. Decide what word or phrase you want to use. When you decide to end the playing, calmly say “done” or “that’s enough” or whatever phrase you want to use. It should be different from the “release word” you use during training. 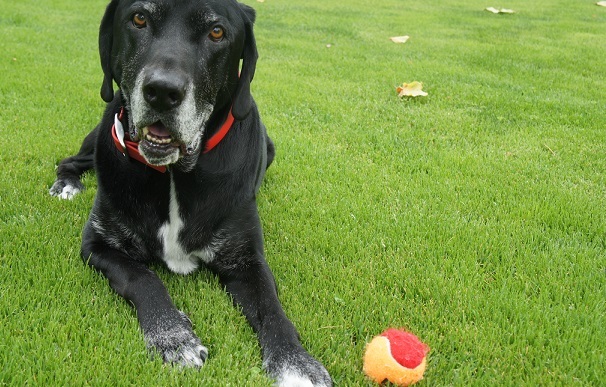 For example, I use “OK!” to release Ace from stay or sit, and then he often grabs his ball as a reward. I use “That’s enough” to signal we’re done playing fetch or tug. 2. Truly ignore your dog. Once you’ve said your “off switch” phrase, you have to mean it. I would also avoid talking to your dog, petting your dog and looking at your dog unless he lies down or sits beside you. If he does, praise him. If he keeps pestering you, firmly say “No. That’s enough.” Then, put the toy away if needed and turn away from your dog, walk away or leave the room. Give your dog something to chew on or play with on his own when you’re done playing, like a Kong toy or a chew. Put him in a kennel/crate for some down time. Not as a punishment, just time to chill out. It might help to keep certain toys put away or to keep certain toys outside. How do the rest of you signal when play is over? 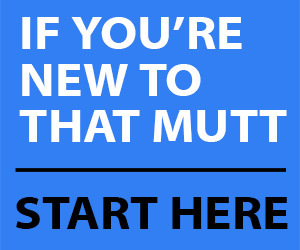 Do your dogs seem to get it? 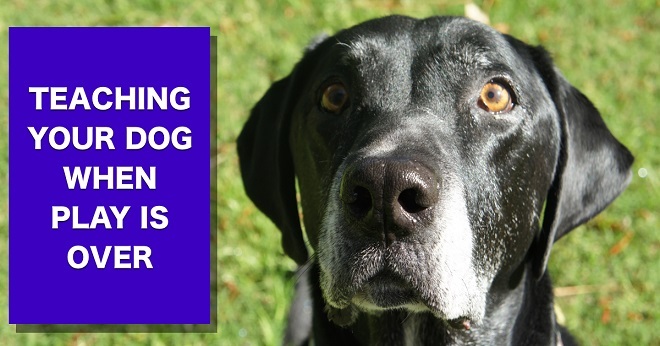 *If you enjoyed this post, don’t miss out on my weekly dog training tips. Click Here. Good blog Lindsay! It’s important , you’re so right. It’s something I didn’t really know when I started dog walking. Someone mentioned it to me at some point so when I regularly played for an hour with a golden retriever, (with a tennis ball, what else) I made sure she would have rest periods throughout. Thankfully, she went along with it just fine. I’d feel so guilty if I was responsible for harming a client’s dog! Oh gosh that would be so awful to harm someone else’s dog. I worked at a boarding kennel once where a bulldog overheated in the play yard. It was everyone’s fault, including mine. I was only 16 at the time but learned a lot from that experience. And thankfully the dog was OK once we slowly cooled him down. Your description of Ace’s fetch obsession makes me laugh! And their little tricks they think we don’t know about…lol. Kaya is fetch obsessed too but luckily she knows when she’s had enough and finds a shady spot to lie down and chomp on her beloved ball. And if we’re playing on a hike or at the beach and I don’t feel like throwing it anymore, she’s content to just carry it as we walk. She also looooooves to dig at it in the sand or snow. I think she would do that for hours on end if I let her. And she will only drop the ball for me so I don’t have to worry about stranger danger. It’s actually funny because she loves to bring the ball over to people just to show off. When they say drop or try to get it from her mouth I have to tell them she’s just showing it to you. Haha. Haha! “… their little tricks they think we don’t know about.” Ha! This is so important, particularly when it gets hot. In the Winter, I don’t know what it would take for Cookie to have enough. In the summer, she’s pretty smart about it for most part. I use “all done” and a hand signal. Oh the hand signal is a good idea too! I’m completely with you on the ‘ball obsessed’ thing. My little golden Cockapoo is so nuts for his ball. He’s totally focused and like Ace will stare at me and his ball shaking with the excitement of it, so I’ve had to adopt a cut off and I always say in an (what I hope is an impressive voice!) “FINISHED”. He seems to understand that’s the ball bit over with otherwise he would keep on going till the cows come home! Do you think an 18mo old mastiff is too old to learn this?! When you describe Ace it could just as well be my Bailey! I can’t believe how totally fixated he is with a ball (be it his or one he’s ‘borrowed’ of another unsuspecting dog). He can fetch for England. I have to firmy say FINISHED! He is the only dog I know who is like this so your post is very reassuring that I don’t have a weird dog. Thank you.